CITEGO sees itself as a third-party mediator, promoting the exchange of experience and sharing of knowledge between practitioners, researchers, elected officials, associations and citizens on matters related to the governance and role of territories in the transition to sustainable societies. The goal of mediation is to overcome walls separating institutions, academic disciplines and socio-professional categories in order to partner knowledge with action, strengthen a transversal approach and contribute to continuous training. 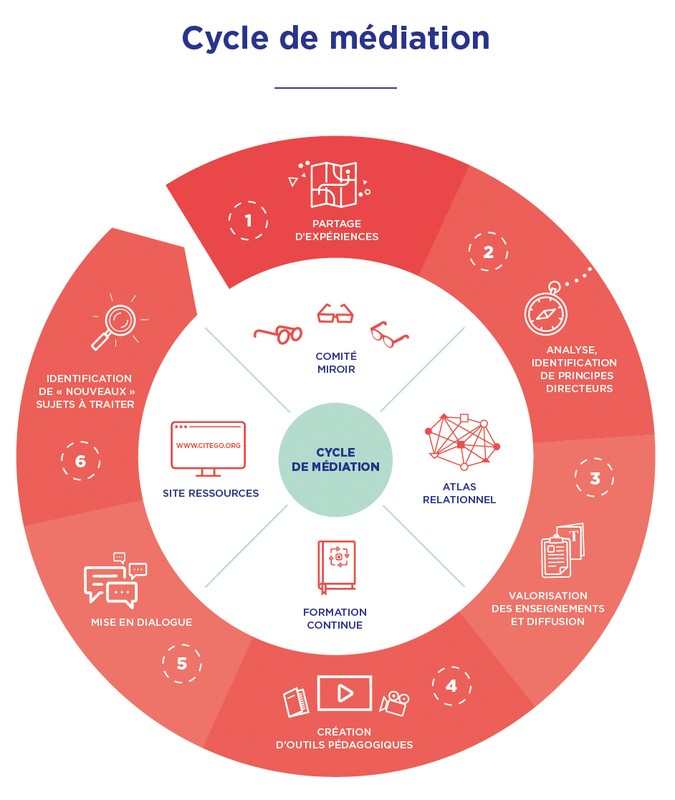 CITEGO provides diverse types of partners with a conceptual framework, methods and tools that correspond to the successive stages in the mediation cycle. Thus CITEGO is like a reservoir filled with methods, case studies, means of approach, educational materials and the support of learning communities.